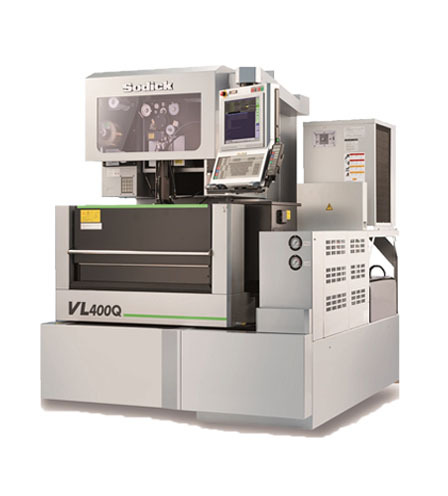 VL400Q, specially designed for versatile machining needs like Medical, Aerospace etc. The Perfect small size machine comprising Sodick’s salient features like linear motor drives with linear scales which maintains high-speed and high response retaining initial positioning accuracy for years; The VL series are further equipped with features such as, Heart-NC on board programming, advanced corner control, automatic float control, new power supply with improved surface finish, more reliable auto wire threading with added pop-up function and more. In house made ceramic components on machines enhance the thermal stability.